Cook's commentary appears to be an allusion to Trump's various stances —at least those taken during his Presidential campaign —on touchstone issues, from immigration to privacy, each of which being diametrically opposed to Apple's own viewpoint. 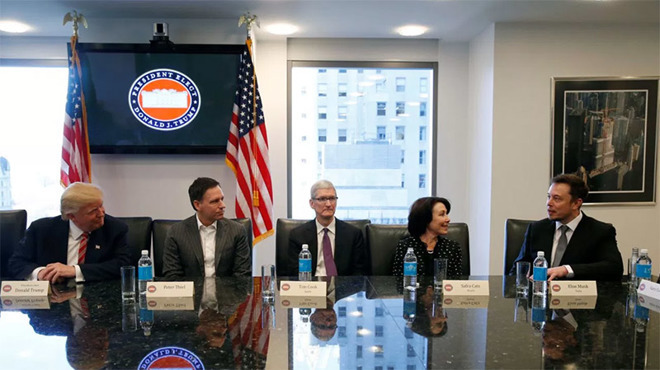 That Trump so vociferously attacked Silicon Valley sentiment on the campaign trail prompted some to question why executives like Cook agreed to meet with Trump in the first place. We have other things that are more business-centric —like tax reform —and something we've long advocated for: a simple system. And we'd like intellectual property reform to try to stop the people suing when they don't do anything as a company.